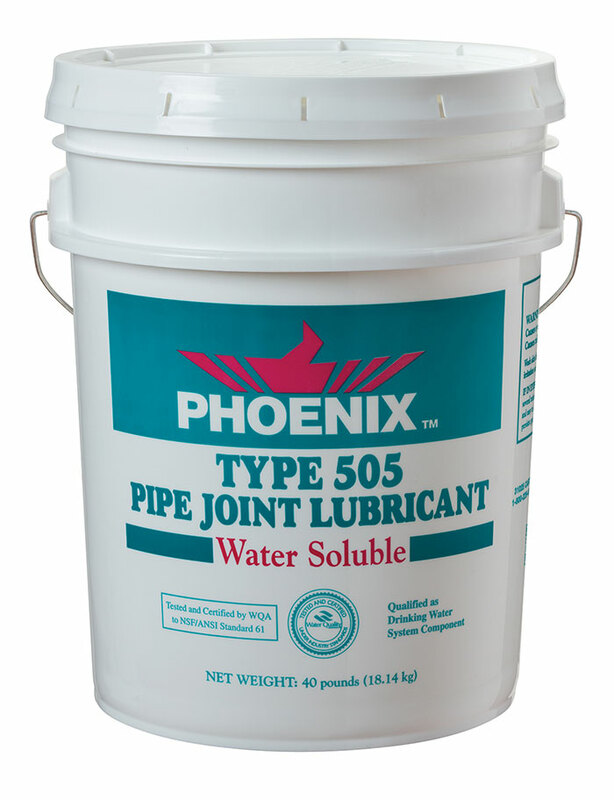 Phoenix 505 Pipe Joint Lubricant is a soft, water soluble paste. It is a stable blend of vegetable oil, soaps, and lubricity enhancers. Phoenix 505 is certified by the Water Quality Association for use in potable water systems. Phoenix 505 is excellent for potable water pipelines, and is certified to meet NSF/ANSI Standard 61 requirements. Phoenix 505 Pipe Joint Lubricant is tested safe for use on most common gasket materials.